Selling Fast! X31, X32, X36 and X54 in VR Blue and Yellow and X52 in V/Line Orange and Grey are Sold Out. Stock levels of X34, X35 and X48 are low, Order Now. 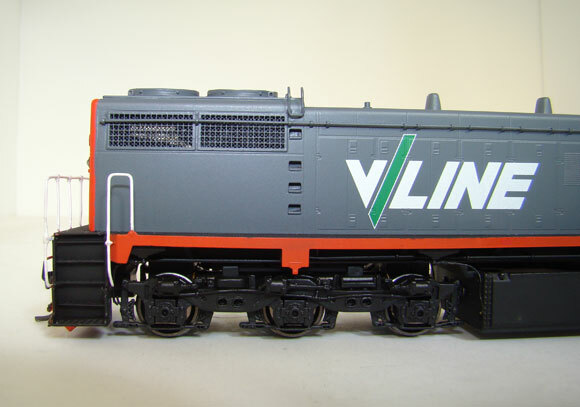 TrainBuilder is pleased to announce our locomotive project for 2012, the Victorian Railways X Class G16C Diesel Locomotive. The Victorian Railways X class diesel electric was built by Clyde Engineering to alleviate a shortage of mainline motive power on the system. 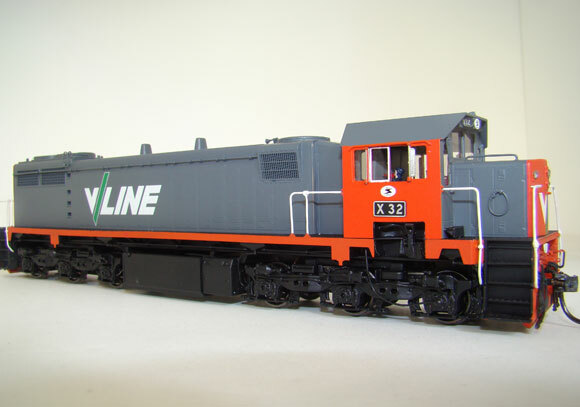 An order for six locomotives was built at Clyde's Granville NSW plant and were fitted with GM 16-567E two stroke diesel engines and 6 EMD D77 traction motors. They were delivered to the VR in 1966 and were given the road numbers X31 to X36. They were originally intended to be use on the Broad Gauge, but most were at one time or another converted for use on the Standard Gauge lines through to Sydney. They were commonly used on the Southern Aurora , Spirit of Progress, The Overland and the Vinelander mainline passenger trains. A second series was delivered from 1970 equipped with a bigger engine which required large radiator grills to be installed on each side of the long hood. This series was designated with road numbers X 37 to X 44. A third series X Class with road numbers X45 to X54 was introduced in 1975 and 1976. 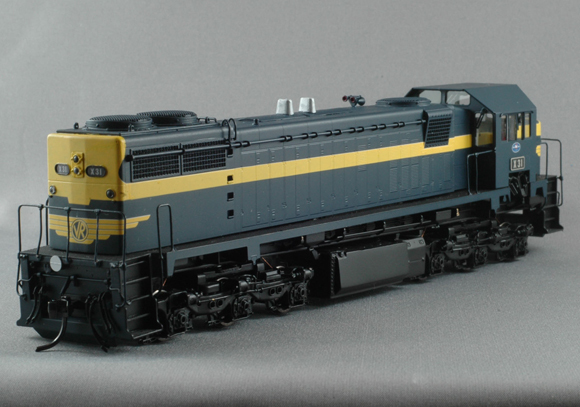 Trainbuilder is pleased to offer the first ready to run HO Scale model of the this famous locomotive. Fully built in brass, our model will feature fine scale RP25 wheels, a quality Canon motor with dual flywheels, directional headlights, lit marker lights and number boards and full cab interior. All six road numbers will be available in VR Blue and Yellow and two road numbers in the early V/Line scheme with single marker lights. We have also produced a small quantity of Series 2 and Series 3 versions in both VR and V/Line.